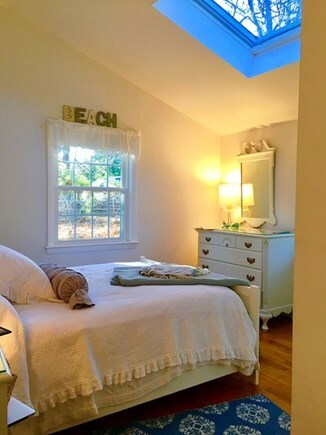 You'll love this cozy Chatham cottage located on a quiet street just steps from Taylor's saltwater pond and just under a mile to Cockle Cove Beach. So bring your kayaks or paddle boards (Taylor's Pond has open access to the ocean)! The bright, open floor plan and private back yard setting are perfect for families in search of a relaxing vacation. The yard is large and private with woods on 2 sides. We have an outdoor picnic table, new Adirondack chairs, a hammock and propane grill. There is also a spacious deck, perfect for coffee in the morning or cook-outs. 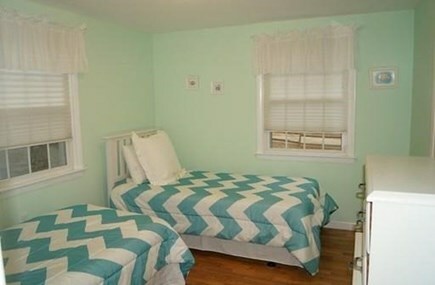 The house has three bedrooms (1 Full and 4 twins) and sleeps 6 comfortably (7 if you use the over-sized sectional). 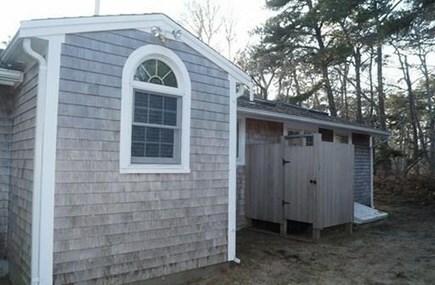 There are two bathrooms both with showers (one with a tub) as well as a larger outdoor shower. 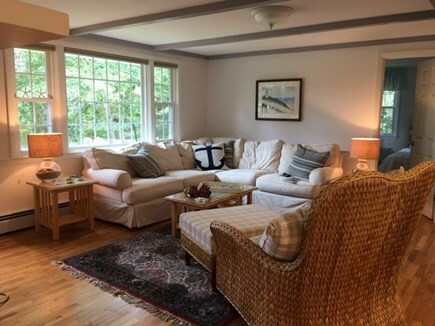 The main room is open, airy and very comfortable with a new gas fireplace for chilly evenings. There is also an unfinished basement with furniture for kids to hang out if they want. Basic cable and internet are provided as well as a Smart TV (internet access for NetFlix or Hulu). We are a 5 min walk to the Cape Cod Rail Bike Path and the School House Ice Cream. 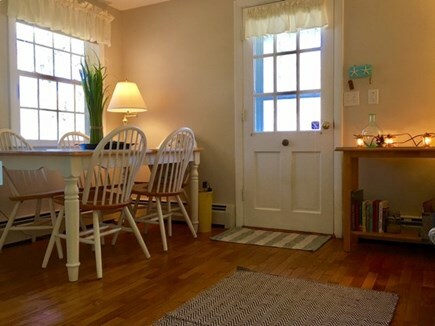 The cottage is ideally located to all that Chatham has to offer including Main Street with all of its great shops and restaurants, golf courses, Baseball, Boating, fishing & close to the Nat'l Sea Shore. Additional availability info: Check in at 3:00pm, check out by 10:30am. This is a Saturday to Saturday vacation rental. Additional pricing info: Multiple week discounts & off-season weekend only rates available - email owner for details. State and local taxes of 12.45% will apply. My family and I have been vacationing in the Chatham area for over 23 years. Joe Barrett can be reached by email (use Email button under first picture) or cell phone (617) 306-5550. This house is fantastic for families. It has a very warm, cozy feel to it with an open floor plan, 3 bedrooms and a large private backyard for games or just plain relaxing. A large deck is just off the kitchen with an outdoor table & umbrella. The back yard comes with a wonderful hammock, plenty of Adirondack chairs, a picnic table and a grill. 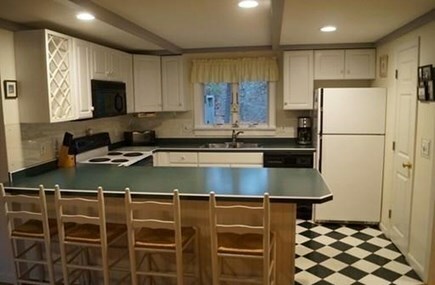 The kitchen has both a Keurig and traditional coffee maker. Although rarely needed, we have 3 new AC units for the bedrooms if it gets too hot. The street is a dirt road with very little traffic and safe for young children. 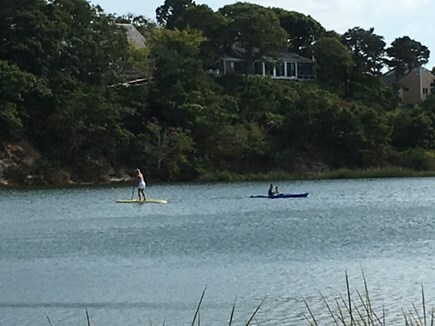 We are a 5 minute walk down the path to Taylor's Pond where you can bring your kayaks, canoes or paddle boards to use. 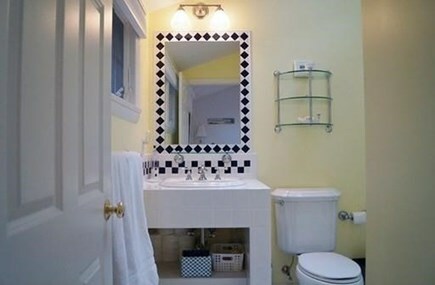 You can leave them on our deeded area for use later. Taylor's Pond is a shallow, salt water pond with open access to the ocean. Paddle down beautiful Mill river enjoying the march preserves along the way and take a break on near empty beaches. 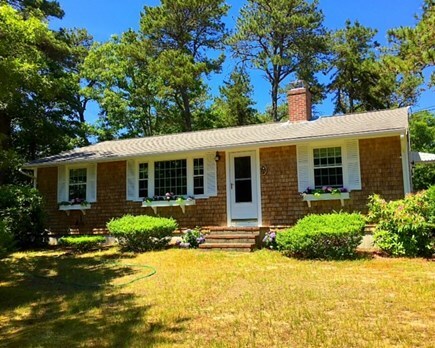 We are a 6 minute walk to School House Ice Cream and Cape Cod Rail Trail Bike Path as well. 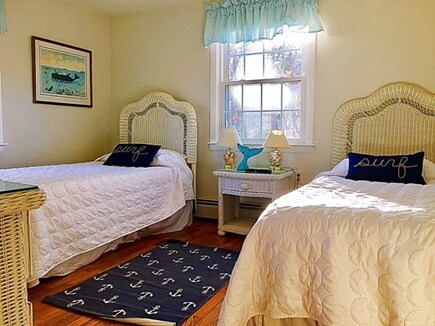 Chatham is a wonderful Cape Cod destination bursting with many attractions for the vacationer. 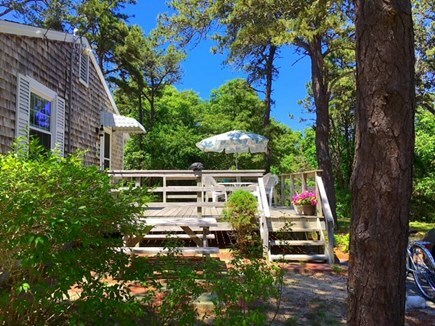 From beautiful beaches to Main Street with boutiques and artisan shops, the house is located close to everything. 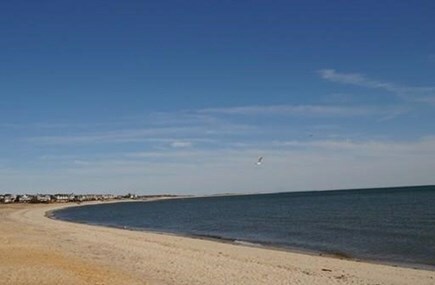 We are just under a mile to beautiful Cockle Cove Beach and a 5 minute walk to the Cape Cod Rail Trail Bike path. 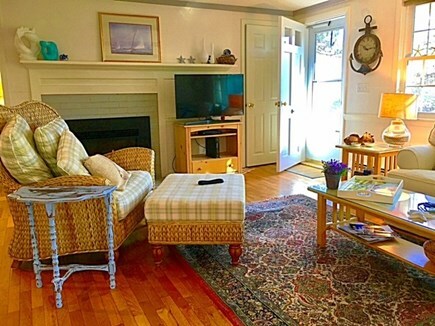 There are so many great things to see and do such as: picnics and band concerts in the park, great restaurants, close to the Chatham Bars Inn, seal watching in Nantucket Sound, golfing at one of three nearby public courses or taking in a play at the Monomoy Theatre or a movie at the quaint Orpheum Theater. 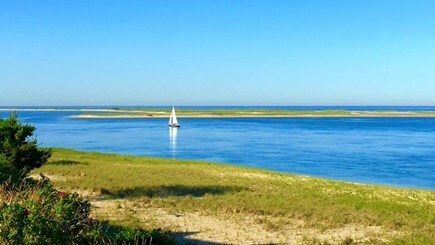 Chatham is very close to Nauset Beach, part of the beautiful National Seas Shore with its sweeping views and pristine landscape.